Enter a Chef’s kitchen. 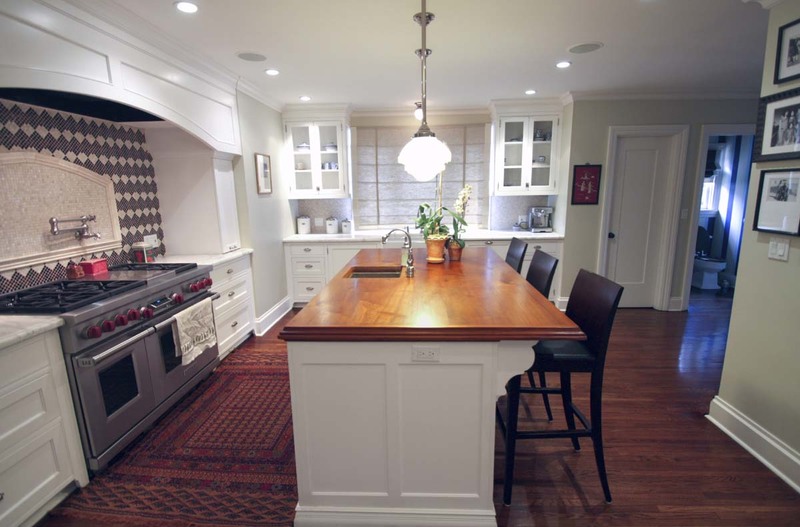 A farmhouse sink, an island prep sink, 48″ gas range and hood surround and a large capacity refrigerator. All the essentials in an elegant and simple space.